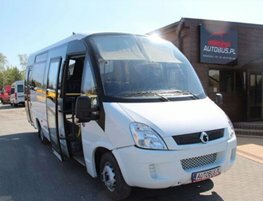 The 24 seater minibus is perfect for getting you to your destination on time. This is an ideal size for small groups of people looking to get around the city while sticking with their schedule. Our very friendly and experienced drivers are always capable of figuring out the best route for your journey to avoid delays and traffic. The drivers have plenty of years of driving similar vehicles, and are well aware of all the controls and features of the vehicle. The Bracknell minibus 24 seater coachesoffers the best of both worlds. It offers convenient vehicle to transport large groups, and yet the vehicle is not too large to be unwieldy, or face traffic restrictions. These vehicles come fitted with all the standard accessories, and also a hot o the latest safety features. All our vehicles are new and ultra-modern, and comply with the latest environment standards. The high-fuel efficiency and low maintenance help us kep operating osts low, and deliver these vehicles to you at very low per-kilometer rates.